“God hath given to us eternal life, and this life is in His Son. He that hath the Son hath life; and he that hath not the Son of God hath not life.” 1 John 5:11-12. “It is the Spirit that quickeneth … the words that I speak unto are you, they are spirit, and they are life.” John 6:63. Do you know the difficulty in our day is that we have run away from Jesus. That is, the church at large has. The world is making a great struggle at the present hour, and we are in the midst of it ourselves, to get back to Jesus. We have run into false theology, we have run into churchanity and human interpretations, and a hundred other follies, but friends, it is a perfectly lovely and refreshing thing to get back to Jesus. Take the words of Jesus and let them become the Supreme Court of the Gospel to you. Consider all the Word of God the Common Court of the Gospel, but the words of Jesus are the Supreme Court of the Gospel. If there is a question that is not clearly decided according to your vision in the Common Court of the Gospel, then refer it to the Supreme Court, which is the words of Jesus, and the words of Jesus will settle anything that is in your mind. If your questions were settled by the words of Jesus, we would be out of all the confusion that the world is in at present. I do not see any other way for the world to come out of her present confusion unless it is to accept the words of Jesus as final authority, to accept Jesus as the divine finality where all questions are finally adjudicated, and stay by the words of Jesus. Just as an example on that line, I suppose there is not any question in the Scripture that is more muddled and fuddled and slobbered over than the subject of water baptism, and we have a dozen forms of baptismal practice, emphasising different phases of baptismal consecration. But, beloved, the words of Jesus would settle the whole controversy. Jesus’ words settle both the spirit and mind of baptism forever. All the damnation that the Christian world has been in over this question is because we simply refused to take the words of Jesus and believe and obey them. I am such an enthusiast on the words of Jesus that if I was compelled to choose between the practice of the apostles and the words of Jesus, I would stand by the words of Jesus. It is the only method that has kept my soul from the confusion I see in other lives. Paul had some faith in the value of the putting on of his hands. It was not a mere form. I want to call your attention to the Word of God especially on this line. Paul’s own convictions were that through the laying on of hands on this young man, an impartation of God to his life had been given. It was so real that even though Timothy was not aware of it and was not exercising the power of God thus bestowed, yet Paul’s conviction was that the power of God was present. Why? Because he had laid his hands on him in the Name of the Lord Jesus Christ, and he believed the Spirit of the Lord Jesus Christ had been imparted to him; therefore the gift of God was in him. Therefore, the faith to exercise that gift ought to be present, and he believed it was present because of the fact that the faith of God had already dwelt in his mother and grandmother, and he believed in him also. Beloved, it takes faith to exercise your gift of God. There are just lots of people around everywhere who have gifts of God, and they are lying dormant in their lives, and there is no value for the Kingdom of God through them because of the fact that they have no faith in God to put the gift in exercise and get the benefit of it. Probably Timothy was a timid fellow, and Paul is going to show him why he should be exercising this gift of God, which he believed to be in him. “Greater is He that is in you, than he that is in the world.” 1 John 4:4. And if we had faith to believe that the “greater than he” is in us, bless God, we would be stepping out with boldness and majesty. The conscious supremacy of the Son of God would be manifest in our lives and instead of being subservient and bowed down and broken beneath the weight of sin and the powers of darkness around us, THEY would flee from us and keep out of our way. I believe before God there is not a devil that comes within a hundred feet of a real God-anointed Christian. That is the kind of vision God put in my soul. 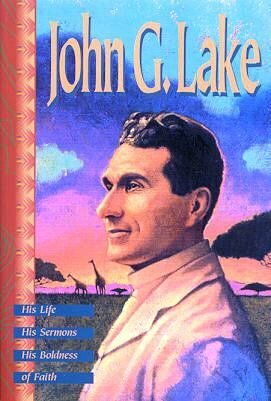 When I went to South Africa years ago, I attended a great missionary conference a short time after I was there. It was a general conference of the Christian missions of the country. On account of our teaching the Baptism of the Holy Ghost and the power of God to heal, we were a peculiar feature in the conference. We were bringing a new message and they wanted to hear us, and get us sized up and classified. Among the difficulties they discussed in that Conference was the tremendous influence of the native medicine men over the people. They call them witch doctors. They are a powerfully developed psychic type of man, and for generations and generations they have studied psychic things until they understood the practice of psychic laws. It is marvellous to see the psychic manifestations they bring to pass. I have seen shocking things take place at the hands of witch doctors, things that nobody would believe unless you beheld them. On one occasion two men who had become extremely jealous of each other, both native chiefs, and they lived sixty miles from each other. One time as I was in the kraal of one of them, I heard them discussing this difficulty with the other chief and it was decided by the chief that the next Sunday morning he was going to set the other fellow on fire. I wanted to see this phenomena and I got a horse and went across the country to be there on Sunday morning. The chiefs go out and round up their cattle and herds, look over their flocks, and so on. It is a sort of Sunday exercise. I rode along. We had not ridden for more than an hour when I observed this fellow was becoming very hot. Within half an hour he was absolutely purple. I knew somewhat of medicine; I would have said the man was likely to have a paralectic stroke from blood pressure. After a while he began to complain of terrible pain, and finally he became exhausted, got down and lay on the ground, and passed into a state of terrible exhaustion. I believe the man would have died. I had heard about these sort of things, but this was taking place under my own eyes. I saw that unless the man got deliverance he would die. Then it got to that point, I said to the brethren, “It is time that we prayed.” I stepped over and laid my hands on, and called on God to destroy that damning psychic power that was destroying the fellow, and God shattered it. We not only went to seek them, but challenged them separately and unitedly and by the power of God delivered the people from their power, and when they were delivered the people appreciated their deliverance from the slavery in which they had been held through their superstitions, psychological, spirit control, and they are most terrible. Whenever I got in the presence of one of these fellows and wanted to cast out the devil, I always felt I wanted to get his eye. I search to get his eye. The eyes of a man are the windows of his soul. In teaching a class of children I asked them what the eyes were for. One little chap said, “Your eyes are for you to look out of.” Do you get It? It is not a poetic expression, they are the windows through which you look out. It is wonderful the things you see when you look out. Sometimes you see fear, and the spirit of darkness, and you see the devil in the other life. Marvellous things that you see with your inner eyes. The world laughs at our Pentecostal people, because they sometimes talk about seeing by the Spirit, and sometimes we talk about seeing psychically! We see all the time naturally, as you and I do now. It indicates that the mighty Holy Ghost from heaven in the lives of the Christian was to be more powerful in you and in me after Jesus got to heaven and ministered Him to our souls than He was in Jesus. Fear of the devil is nonsense. Fear of demons is foolish. The Spirit of God anointing the Christian heart makes the soul impregnable to the powers of darkness. How I love to teach men that when the Lord Jesus Christ anoints your soul and baptises you in the Holy Ghost, that the almightiness of the Eternal God, the Father, by the Spirit, and Jesus Christ combined, has come into your soul. One of the thirty-six articles of the Church of England says, “The Holy Ghost which proceedeth from the Father and the Son.” There is no truer thing in all the world. Do you get it? “Which proceedeth from the Father and the Son.” In the fourth and fifth chapters of Revelation you see the distinctive personalities of God the Father and Jesus Christ. God the Father occupies the Throne is holding the seven-sealed book in His hand. And Jesus Christ, the silent Lamb, without an attendant, not an angel to accompany Him, absolutely alone, in lonesomeness as the slain Lamb presents Himself to the Father, and the Father hands Him the seven sealed book, as He whose right it is to unseal and open the seals. 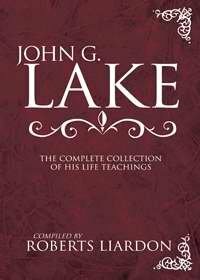 What I want to bring to you is that the Spirit of God, the divine master, the eternal power of God, the combined life and presence by the Spirit, of the Father and the Son, is given to you, not to leave you a weakling, and subject to all kinds of powers of darkness, but to make you a MASTER, to give you dominion in God over every devilish force that ever was. “Sister, you just give me the key, and go about your work, and do not be troubled.” I unlocked the door, slipped into the room, and turned the key again, and put the key in my pocket. The man was reclining in a crouch like a lion ready to spring. I never heard any lips blaspheme as his did. He cursed me by every expression I ever heard, and worse. He threatened me if I came near him he would tear me limb from limb and throw me out the window. He was as big as two of me. I never saw such an arm in my life. My spirit awoke, and I could see the devil was in terror and was crawling and trying to get back away from my eyes as far as he could. I looked up to heaven and called on God to cast that devil out, and lent Jesus Christ all the force of my nature, all the power of my spirit, and all the power of my mind, all the power of my body. God had me from the crown of my head to the soles of my feet. The lightnings of God went through me and the next thing I knew he collapsed in a heap and flopped down like a big fish. Then he turned out of the bed on his knees and began to weep and pray, because he had become human again, and the devil was gone. Dear hearts, don’t you see in a moment that character of education develops a certain confidence in God, and it makes your soul sick when you see Christian men and women sneak around, afraid of the devil, and teaching people the devil is going to jump on you and take possession of you. Not a bit of it! There never was a devil in the world that ever went through the blood of Jesus, if the individual was in Christ. In the Jewish Bible, among the listings of the covenants, is one that is known as the Threshold Covenant. That was the Covenant by which the Israelites went out of the land of Egypt, when God told them to slay a lamb, and put the blood on the door posts and lintel. And the Jewish Bible adds they put the blood on the threshold. A lot of people get the blood of Jesus on their head, but it seems to me they do not get it under their feet. The Word of God teaches us to got the blood under your feet, and on the right hand and on the left hand and over your head. That is your protection. There was no angel of death in the land of Egypt, or in hell, that could go through that blood unto that family. No Sir! He was absolutely barred. Friends, do you believe it was the blood of the lamb that was barring the angel of death? Do you believe the red stains on the doors frightened him away? No Sir, the blood signified to me that there is one that goes through the blood; that is the Holy Ghost. And, beloved, the Eternal God by the Spirit went through the blood to the inside, and stayed there and defended the house. All these little insignificant devils that came along in this sickness or that sickness, or that temptation of sin, have no power over you. Dear friends, from heaven there comes to your heart and mine the dominion of Jesus by which the God-anointed soul walks through them, through myriads of demons and they can not touch you. Presently, the Spirit of God got hold of me and when these demons came at me from all sides, I waded into them and began to knock them down. It continued until I had knocked so many down I had to climb over them to get at the rest. Friends, it is time you and I as the blood-washed in Jesus awoke to our privilege whereby in the Name of the Lord we cease to sin and let no unholy condemnation remain upon our life any longer. I do not know, but maybe I have come through a different school from what others have in the lines of the Spirit, but I am sure of one thing, that if Christianity was to leave me a weakling, to be oppressed by the power of darkness, I would seek something else because it would not meet the need. It is that which meets the need that gives you living supremacy in Jesus Christ. Friends, when your heart is surcharged by that faith in God so that “Greater is He that is in you than he that is in the world,” you will pray a new prayer. Moses came to the Red Sea with impassable mountains on the right hand and impassable mountains on the left hand, the army of Pharoah behind him, and the sea in front of him. If any man had a right to stop and pray, surely you might say that man had. “When He had called unto Him His twelve disciples, He GAVE them power against unclean spirits, to cast them out, and to heal all manner of sickness and all manner of disease.” Matthew 10:1 and Luke 9:1-6. Beloved He gives it to you. What is the Holy Ghost? It is the gift of God Himself to you. The Holy Spirit is not simply given that you may be a channel, and always a channel. No sir! But instead of that, the most magnificent thing the Word of God portrays is that Christ indwelling in you by the Holy Ghost is to make you a son of God like Jesus Christ; God anointed from heaven, with the recognized power of God in your spirit to command the will of God. It may not be that all souls have grown to that place where such a life as that is evident, but surely if the Son of God by the Holy Ghost has been born in our heart, it is time we began to let Him have some degree of sway in our heart and some degree of heavenly dominion of value, and some degree of the lightnings of Jesus Christ breaking forth from our spirit. The sanest man is the man that believes God and stands on His promises, and knows the secret of His power, receives the Holy Ghost and gives Him sway in his life, and goes out in the Name of the Lord Jesus to command the will of God and bring it to pass in the world. At the end of the first three hundred years of the Christian era, there were millions of Christians. Christianity was an aggressive power. Christianity went into the heart of heathendom to undo their superstitions, to break down their psychological forces, to leave the consciousness of Jesus Christ in the heart, to heal the sick, to raise the dead. Oh, God in Heaven, bring our hearts back to it! Christianity was a conquering force. But friends, there was a consecration secret in the life of the early church. It was this: if they could not conquer, they could die. Dear friends, you will never exercise very much of the dominion of the Son of God in your spirit until your heart is ready to say, if I can not get the mastery, “I can die.” The early Christians died, plenty of them. Millions of them. That is the reason people say the blood of the martyrs was the seed of the church. Bless God, they died for their faith. Friends, you and I will never know or have the big ministry and the big victory until our souls have arrived at the place where we will die for our faith also. Lord God, help us. These days, if a man gets a stomach ache he is afraid he will die. Die if you have to die, but do not disgrace the cause of Christ and weaken in your faith and sell it to man or the devil. When that degree of consecration comes into you heart, when that degree of determination comes into your spirit, you will not have to die. But I tell you, most of us will do our dying before we enter there. That is the life into which dead man enter. That is the resurrection life. You have to die to get it. You have to die to enter there. We die to our sin, we die to ourselves, we die to the opinions of men and we die to the old world, we die to fear of spooks and demons and devils, and prove the truth of the text, ”Greater is He that is in you, than he that is in the world.” In my name they shall cast out devils. Rebuke the devil and he will flee from you. We live in Jesus Christ. Blessed be His name.